Ame rican Santa Hanging Ornament from Jim Shore Heartwood Creek Collection. Made of Stone Resin & 100% Polyester. 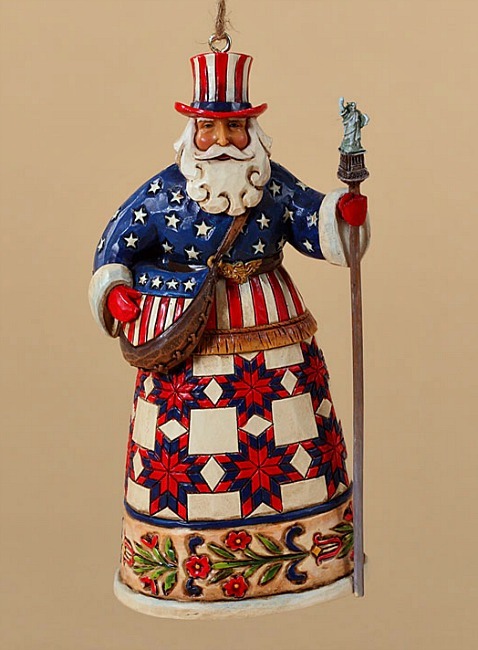 Measures 4.75" H. A centerpiece to the Santas Around the World collection - this best seller features the Stars and Stripes of the USA.